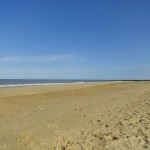 Norfolk beaches regularly win Blue Flag awards for some of the beaches up and down the coast. 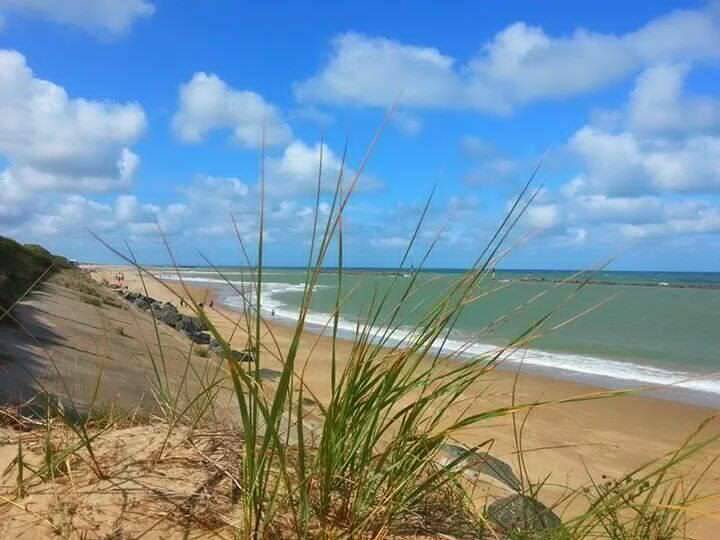 Regardless of whether it has a blue flag, the beaches are beautifully sandy, some are washed with the tides, but all offer you a day out to remember. 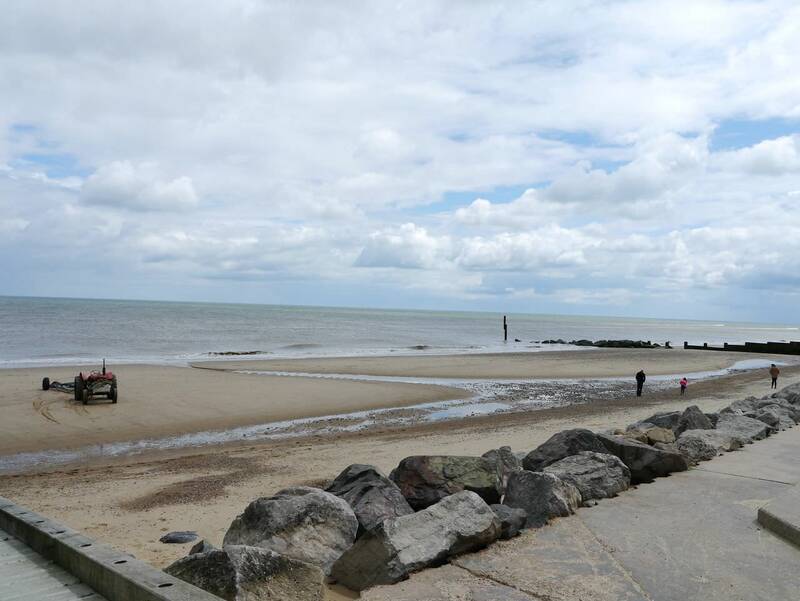 Bacton beach is right on your doorstep and comes and goes with the tides. Here’s some suggestions of nearby ones to explore. The 2018 winners of a Blue Flag award are Cromer, Sheringham, Mundesley, Sea Palling East and West Runton; all within an easy drive of our properties. This means they meet the highest international standard of water quality as well as having great facilities and being kept beautifully clean. 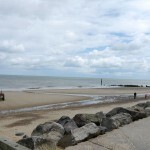 They all have parking, cafes, amusements and toilet facilities within easy reach of the beach. Sea Palling is the only beach out of these that remain sandy when the tide is fully in. To look ahead at tide times and plan your holiday, then this fishing site enables you to check the tide times for dates in the future. 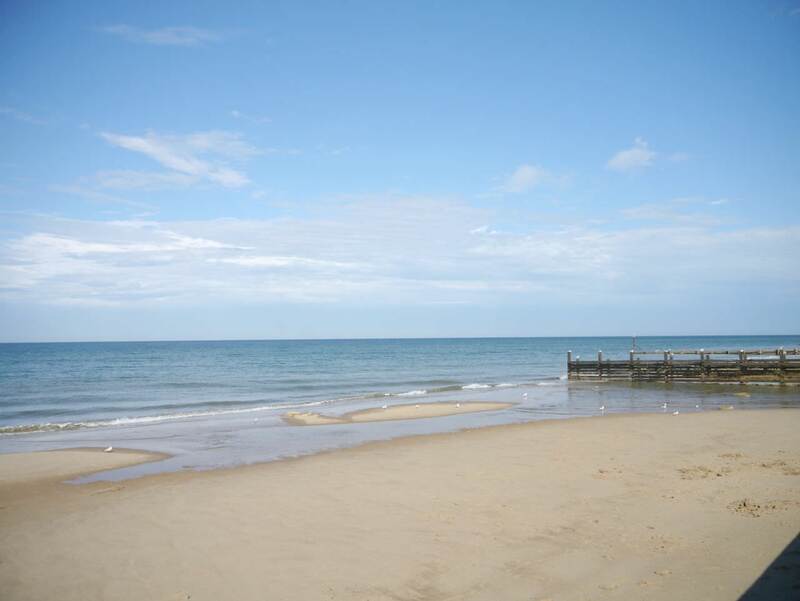 Walcott beach is a lovely 15 to 20 minute walk along the seafront from Beachscape and Tides in Bacton. Treat yourself to a Norfolk ice cream from Kingfisher cafe or perhaps some fish and chips from Kingfisher fish bar. The local shop has beach supplies if you need a bucket and spade! Happisburgh, a little further down the coast has the famous lighthouse overlooking it. It suffers from coastal erosion but you can always walk along the coast path if the beach access is restricted. There’s a great car park and a modern WC. Walk inland a little way to find your refreshments at the occasional nearby house or the amazing Burger Bar that serve the tourists during the main summer season. 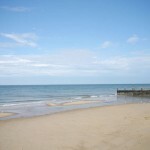 Other nearby beaches include Overstrand, Winterton-on -sea and Horsey beach is unique for seal watching. 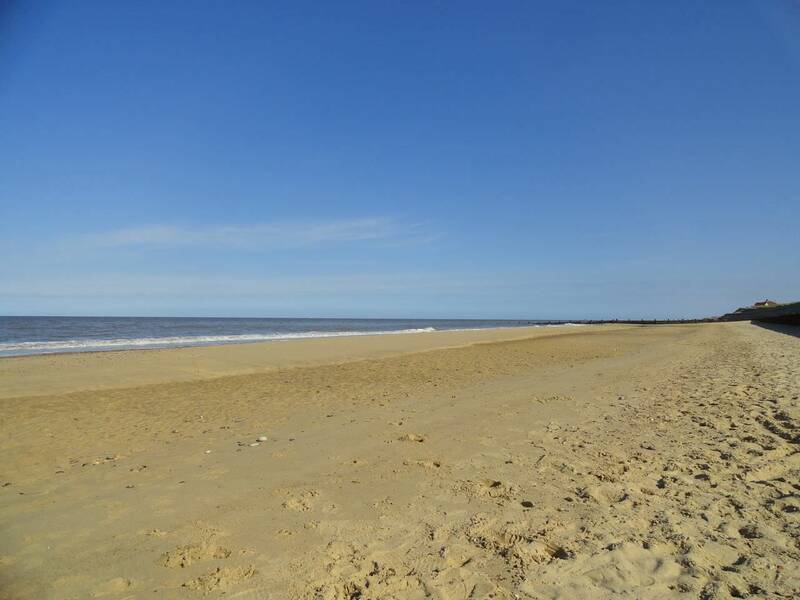 There are many more travelling north towards Wells and beyond or south to Great Yarmouth, including the fabulous beach of Gorleston. If you’re swimming on a beach with no lifeguard, then only swim when the tide is coming in. Check the tide times for up to a week ahead. Beach heights can vary enormously along parts of the east coast. Use the steps when provided and don’t get cut off by the tide on a beach that you cannot easily retreat from. Blow-up toys and airbeds are designed for pools, not the sea where they can easily be swept out. Sometimes, the tide creates pools on the beach; use these instead for a fun but safe time! Bodyboards – always stay with your board as it will keep you above the water, even if you feel you are drifting out to sea. 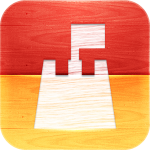 Your board will keep you afloat and make you much easier to spot if you need rescuing. Always wear the leash provided. Be sun smart and always use SPF 30+ sun cream, reapplying every few hours and after being in the water. Wear a sunhat, sunglasses, cover up with a T shirt, particularly children, and create some shade with a beach tent, beach umbrella or windbreak. Lots more advice, beach games, true stories and more on this pdf called On The Beach produced by the RNLI. 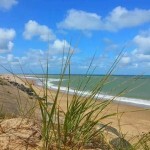 Just got back from a lovely, relaxing weekend staying at Beachscape! Barney had an amazing time and is knackered after all his walks on the beach, which was literally 2 minutes away and in Bacton Woods a 5 minute drive away. The chalet was clean, cosy and comfortable with everything needed inside. Would thoroughly recommend The Poachers Pocket and Sugar and Spice cafe, the staff are very friendly and so dog friendly and the food was lovely! The fish and chip shop was also nearby and the food very nice. We also hired a day boat from Richardsons in Wroxham which was a 20 minute drive away and had a really enjoyable day out.